I would rate it a 9,5! 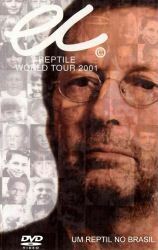 This is the very first DVD of Eric Clapton I have got, after the official unplugged. I must say that I am very impressed by the quality of the pictures, of the sound and mostly of the show. The concert is divided into an acoustic part and an electric part. It's cool to see Clapton with his new style, very deconstructed. "My father's eyes" is really good on this DVD. The other members are also doing great and we can feel some alchemy on the scene. Because of this DVD, I am starting collecting Clapton, and I must say that I haven't been deceived yet. One thing I didn't love, is the abusive transitions from the TV. It would have been good to cut it, but it doesn't matter! Have fun and enjoy this DVD!